How would you spend your day? Well, I suppose I wasn't much of a tourist nor a traveller.. I was just a girl with a mission. 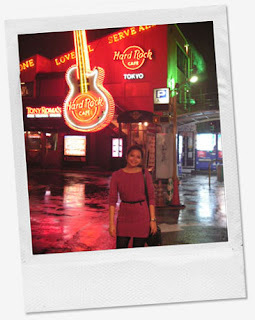 Instead of going to Disneyland or visit the Tokyo Tower or even take a photo with Hachiko, I decided to hit all the Hard Rock Cafes that was within reach! bahahhahaha! 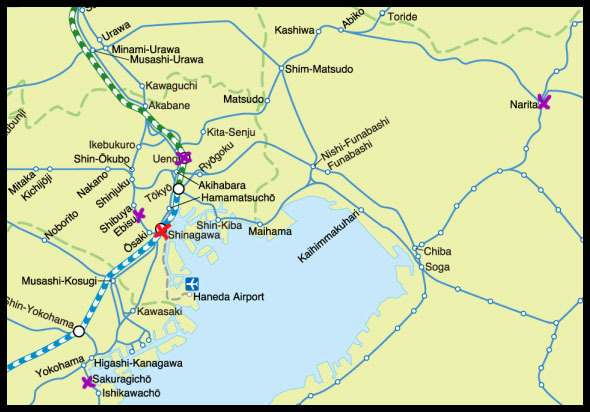 Anyway, I had a good time even when I had spent most of the day in the train. Feels kinda proud that I didn't get lost, not even once. heehee! 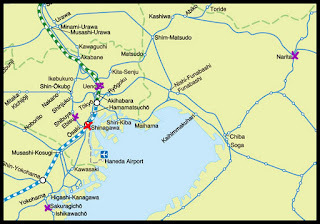 **the red 'X' marks the closest train station to the hotel while the purple 'X' were the places that I went to. 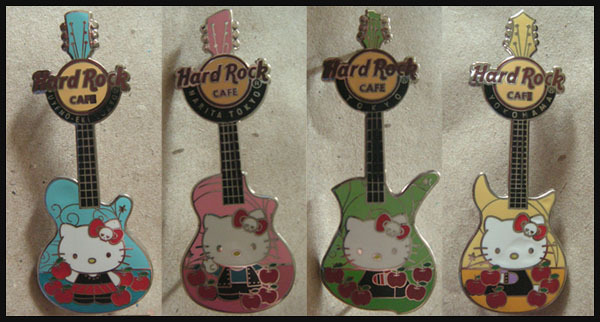 I got really cute pins while I was visiting all those HRC.. so yeah.. I was doing something I truly enjoyed in those few hours I got. It was raining all day anyway. So thank God I wasn't so keen on sight-seeing. Met Hafiz Karim for the first time. teehee! I find it amusing how I had to be in Tokyo to finally meet him. Babeh.aku pernah buat kerja macam kau ni.pi merata pelosok semata nk cari hrc n collect ladies classic T.tp sekarang mcm dah xde je classic T pempuan tu..so aku pun dah malas nk mencari. ladies classic.. memang dah takde kot. skarang tengok macam unisex je..
as for membership; All Access ke? setahu aku kalo All Access membership for life. takyah renew renew..
Osaka laahh aku tak sampai sampai lagi. kalo ada rezeki sampai lah kot. last time rostered, aku mc muscle pain. haihh.. pastu entah dia tak rostered dah. time aku gi Beijing ngan Colombo dulu lak, siap tak tahu pon ada Hard Rock! lagi bengong.. rugi je. Skarang dah takde nitestop Colombo, and airbus lak now dah tak gi Beijing.. haiiih..
champion! hahaha x tertarik untuk pergi kedai lomography kat shibuya ka? kat colombo ada hrc?damn.apsal aku pun taktau?